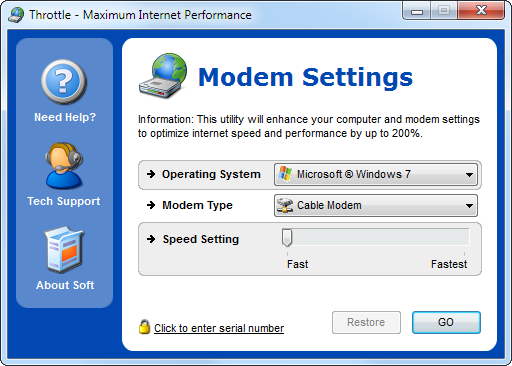 Compatible with Microsoft Windows 7, Vista, XP & Windows Server 2008, 2003. 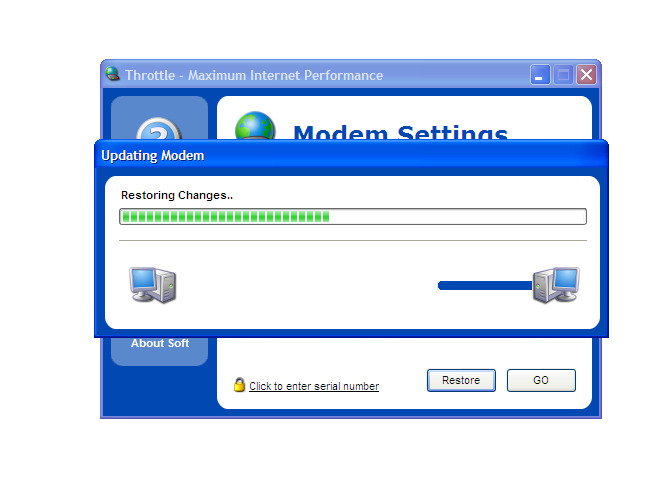 32-BIT/64-BIT ready. 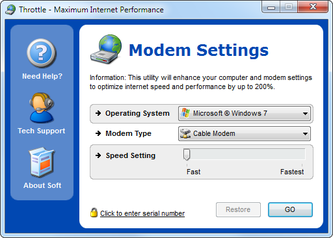 Changes are made to the Windows system directly, allowing these settings to work for all modems and wireless routers. Constant updates to the software add new performance tweaks to allow you to take advantage of improvements that your system is capable of.